T-MAPY is participating on development of a national geoportal of the Republic of Cyprus - T-MAPY spol. s r.o. 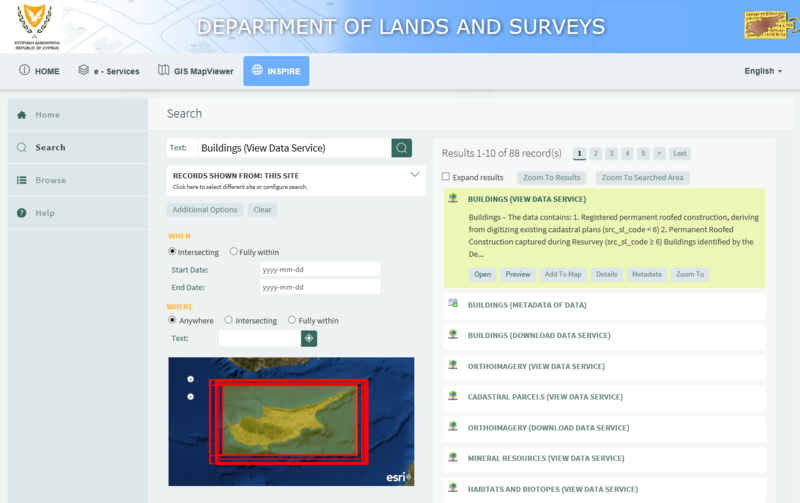 T-MAPY is participating in a contract awarded to NetU Consultants Ltd for the implementation of an Internet Portal for the Department of Lands and Surveys of the Ministry of Interior of the Republic of Cyprus. The project includes the implementation of a modern internet platform, which will provide comprehensive and easy access to geographical data through digital services, enabling the direct and horizontal access of all government organizations to these services. The portal will also provide self-service functionality allowing the public as well as the municipalities to interact electronically with the Department of Lands and Surveys for carrying out their transactions. One of the project goals is the full harmonization of the Republic of Cyprus with the INSPIRE Directive of the European Union. The DLS Portal is expected to serve as the central reference point and as the future central platform for all spatial and other data included in the INSPIRE Directive, enhancing the interoperability between the various government and semi-government organizations. The portal will provide comprehensive and easy access to geographical data through digital services.